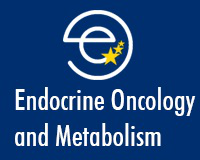 Endocrine Oncology and Metabolism is an open-access, non-profit and peer-reviewed scientific journal. This journal presents the latest research findings in endocrine oncology, including tumors of hormone secreting glands, as well as neuroendocrine tumors. Endocrine Oncology and Metabolism also encompasses studies in obesity, diabetes and metabolic syndrome. About: With more detailed understanding of the genomic and molecular characteristics of cancer, we are closer towards the practice of precision medicine with tailored approaches to individual patient or groups of patients. It is our plan to address these issues in detail with the goal to bring basic scientists, oncologists, surgeons and radiologists from around the world together to allow cross-fertilization of ideas resulting in the translation of basic science into clinical application and challenging basic scientists with clinical issues. We hope that with advancements in cancer biology, treatment and care, caner survivors may live longer and enjoy an improved quality of life than before.